Who we are and where we come from are the eternal mysteries that have engaged humanity for millennia. Evidence for human origins�our biology, technology, intellect, and spirituality�spans realms from scientific research and the bible to mystical traditions and clues that point us to alien beginnings. Today�s information highway has provided us with a great stew of information; what we have been missing is the lens through which we can focus that information, and rescue order from chaos. 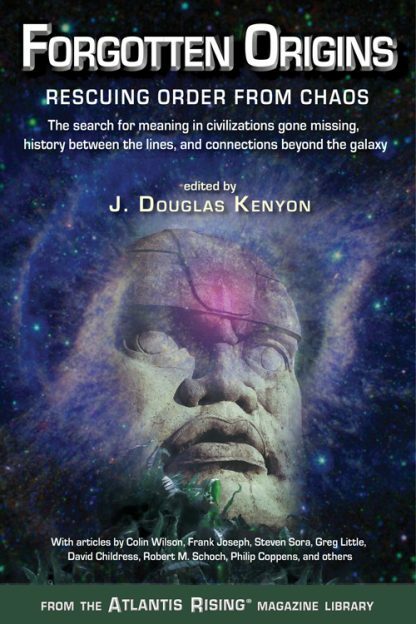 Editor J. Douglas Kenyon has culled from the pages of Atlantis Rising� magazine this collection of 34 concise and well-illustrated articles by world-class researchers and theoreticians who offer thought-provoking insights from the lost secrets of ancient and primordial wisdom.